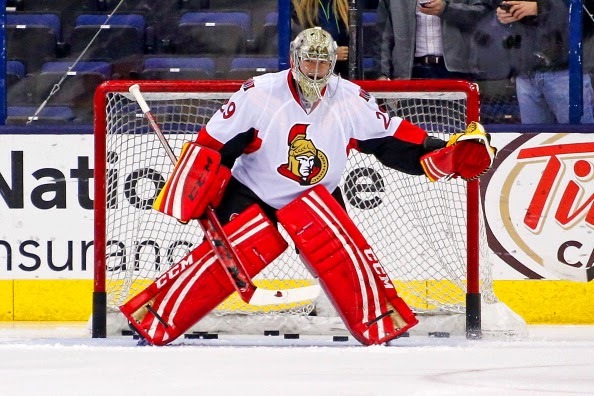 On March 18, 2014 Lehner started the game, but Lawson came in net at the beginning of the 3rd period. He then had to leave the game after 11:52 minutes due to injury. 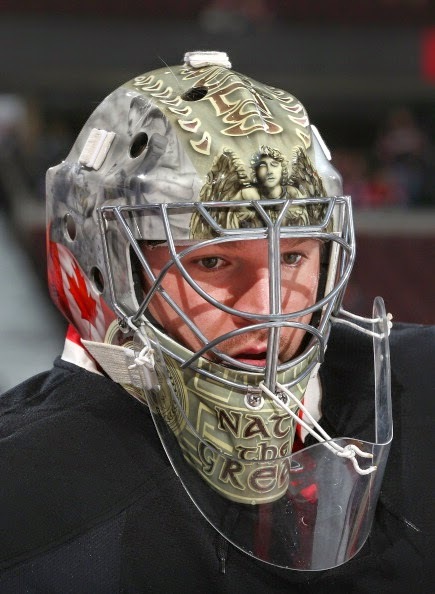 I looked back at Lawson's 2011-12 Montreal mask, and a reader said "The depictions are of his family, and the top illustration is of him being the Guardian." It could be a similar theme with this mask, but I can't say for sure. 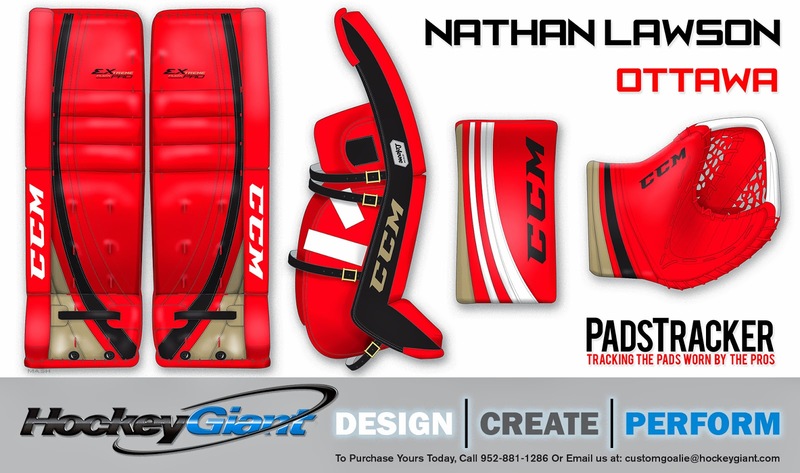 The pads above are slightly different from the ones below. The above photo was taken in Nov 2013. I didn't find a photo the March 2014 game, so I don't know if he switched to the pads below. If I remember correctly the angel on his crown is in honor of his wife, or his family. 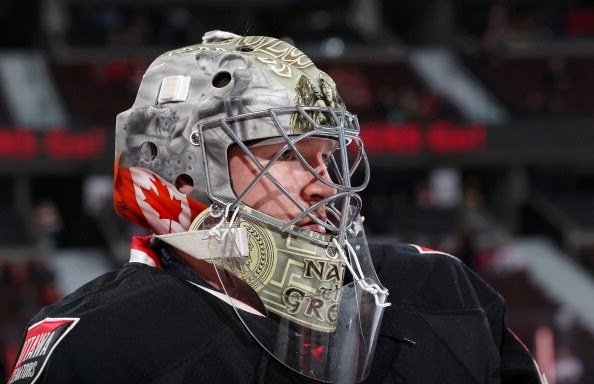 Remember seeing something about it when he was talking about his mask with the Habs. Oh that does sound slightly familiar now you mention it. Thanks!